Foxes' Louisa Rose Allen ends her U.S. tour at Los Angeles' The Bootleg Theater. There must be something in the water across the pond. They've given us the likes of Florence and the Machine, Adele and Amy Winehouse. Now, a new voice has emerged, grabbing critical acclaim with her own soaring vocals and catchy melodies led by the advancing, throbbing beats of her industrial percussions. Her name is Louisa Rose Allen, also known as Foxes and hails from Southampton. Fresh off her surprise and much-talked about single "Youth", Foxes just released her second EP called Warrior (released July 1st from Neon Gold Records) and completed her first U.S. tour with two shows in Los Angeles at Bardot Hollywood and The Bootleg Theater in Downtown L.A. 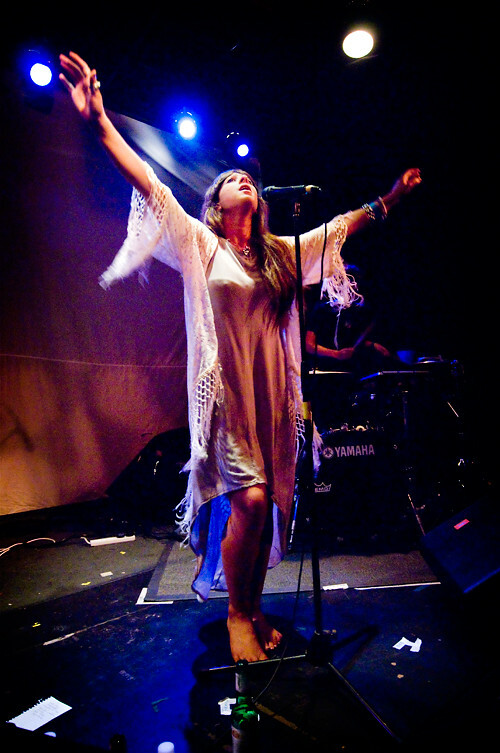 It was the Bootleg Theater where we caught the 22-year-old songstress. Don't let her petite stature fool you. She has a voice that leaps the tallest mountains and lifts over oceans. Entrancing and often times hypnotic, Foxes music is brushed with vibrant synths and catchy harmonies. Her eagerly awaited Warrior EP focuses on minimal instrumentals that better serves to showcase Allen's soaring vocals. Themes of overcoming the darkness and following your dreams pepper the album. "Don't tell me our youth is running out/It's only just begun" she sings in "Youth" while in the title track "Warrior" she pleads "I’ll keep you safe tonight ‘cause I’m a warrior/And I’ll fight, I’ll fight, I’ll fight, I’ll fight." Home is a music box ballad, that's both playful and vulnerable at the same time and highlights that Allen can go from rising vocals to soft, tenderness in a heartbeat. 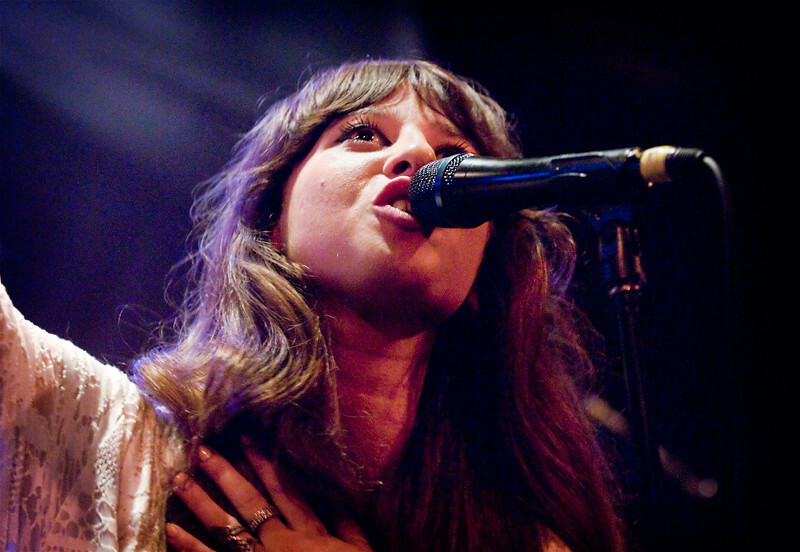 As part of music's new class of great singer/songwriters, we're sure to be hearing more from Foxes. Currently, you can download, for FREE, her single "White Coats" on her website right HERE.